Juhi is a 3rd year student at the University of Reading. 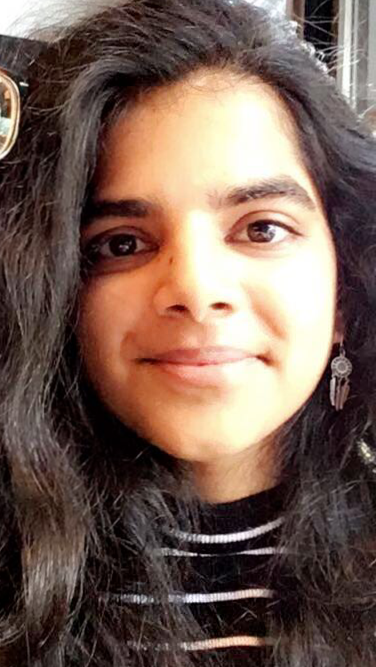 Here she tells us why she wanted to become a volunteer PS Student Ambassador and why she would encourage her fellow students at Reading Uni to volunteer for PS too! I am a third year Pharmacy student at the University of Reading. During my free time I like to hang out with my mates and eat lots of food, including pizza (because who doesn’t love pizza?!). Reading is such a fantastic place to be – not only are the lecturers so friendly and approachable, but the campus is so beautiful! What’s more, the student’s union always offers something to do, so there’s never a dull moment. The course here is engaging and challenging, and there’s always help and support available when we need it. I attended a Local Practice Forum in my area which held a wellbeing workshop run by Pharmacist Support. This was such a useful session to attend as it taught me the different ways I can manage stress in my daily life and how I can improve my wellbeing for a positive lifestyle. It taught me that, even though I will be caring for patients in the future, I still need to be looking after myself too. Having had a positive impact on me, I wanted others to also benefit from this and the other amazing services they provide. This is why I decided to become a Student Ambassador; to raise an awareness of the charity and the amazing work they do to help others. What fundraising activities have you organised or have you got planned? I am currently planning to do a Green day where students and lectures wear something green to represent the charity and raise money through that. I am also looking forward to doing lots of bake sales and other exciting projects! The charity helps pharmacists, pre-reg trainees, pharmacy students, and their family members face difficult situations that they may encounter in their lives, giving them the support and guidance that they desperately need. I especially value the support that they provide to students, such as the hardship grants for those struggling to make ends meet. It is such a great cause to raise money for! By becoming a PS Student Ambassador, you can help Pharmacist Support to continue providing essential support services that have already helped so many people. It is also a good way to make other students aware of the charity, especially the support available for students too (which many students are unaware of! ).